I tried to show last week that many of us in the Reformed and Calvinistic world are woefully weak in asking for the order in our preaching and one-on-one evangelistic work. I know some are very quick to ‘get a decision’ from people and then say, ‘Praise the Lord. I had ten saved last week in my street evangelism.’ I hope you know by now that that is not what I am after. You have heard me say many times that when I see a person call on the name of the Lord to be saved that they are ‘hopeful converts.’ By that I mean time will tell if in fact the Holy Spirit has regenerated that person, for if he has, then the person will see a radical change in his life, resulting in, among other things, a hunger for Christian fellowship, a changed life of growing holiness and forsaking sin, a desire to read, study, and apply the Bible to one’s life, and a desire quickly to repent and run to Jesus again and again when the Spirit convicts of sin. Any good salesman will tell you that he must always be closing. That is, he is always prospecting, always presenting his product, and always moving toward closing the sale. A salesman who is fearful of asking for the order, ‘Will you buy today,’ will fail. While evangelism is, of course, a supernatural event, surely you can see the parallels with selling. The salesman is seeking to write new business. The evangelist is seeking to bring people into the kingdom of God. I illustrated last week, through a sermon by the Calvinistic preacher Charles Spurgeon, that there is no contradiction between the doctrine of election and urging people strongly, on the spot, to come to Christ.1 I wish now to illustrate the same thing from brief excerpts from two other great preachers of the past. The first is from Joseph Alleine, an English Puritan preacher of the Seventeenth Century. Alleine was also a Calvinist yet nearly on every page of his great classic on evangelizing the lost, A Sure Guide to Heaven,2 he urgently calls people to come to Christ. Accept the Lord Jesus in all his offices as yours. Upon these terms Christ may be had. Sinner, you have undone yourself, and are plunged into the ditch of most deplorable misery, out of which you are never able to escape; but Jesus Christ is able and ready to help you, and he freely tenders himself to you. Be your sins ever so many, ever so great, or of ever so long continuance, yet you shall be most certainly pardoned and saved, if you do not wretchedly neglect the offer that in the name of God is here made to you. The Lord Jesus calls you to look to him and be saved. Come unto him, and he will in no wise cast you out. Yea, he beseeches you to be reconciled. He cries in the streets; he knocks at your door. He invites you to accept him, and live with him. If you die, it is because you would not come to him for life. Accept an offered Christ now, and you are made forever. Give your consent to him now, and the match is made; all the world cannot hinder it. Do not stand off because of your unworthiness. I tell you, nothing can undo you but your own unwillingness. Speak, man; will you give your consent? Are you surprised by such language? Does this sound like an Arminian evangelist? It is not. This is true and practical Calvinism at work. We can and should freely offer the gospel to everyone, everywhere. Jesus did (Matthew 11:28-30, John 6:37, Revelation 3:20), and so did the Apostle Paul (2 Cor.5:20, 6:2). The elect will come. Then there is the inimitable Jonathan Edwards. In his famous sermon, ‘Sinners in the Hands of An Angry God,’3 Edwards strongly and powerfully closes the sermon, calling those careless souls to come to Christ. And now you have an extraordinary opportunity, a day wherein Christ has thrown the door of mercy wide open, and stands in calling and crying with a loud voice to poor sinners; a day wherein many are flocking to him, and pressing into the kingdom of God. Many are daily coming from the east, west, north, and south; many that were lately in the same miserable condition that you are in, are now in a happy state, with their hearts filled with love to him who has loved them, and washed them from their sins in his own blood, and rejoicing in hope of the glory of God. How awful is it to be left behind at such a day! To see so many others feasting, while you are pining and perishing! To see so many rejoicing and singing for joy of heart, while you are cause to mourn for sorrow of heart, and howl for vexation of spirit! How can you rest one moment in such a condition? Are not your souls as precious as the souls of the people at Suffield, where they are flocking from day to day to Christ? And let every one that is yet out of Christ, and hanging over the pit of hell, whether they be old men and women, or middle aged, or young people, or little children, now hearken to the loud calls of God’s word and providence. This acceptable year of the Lord, a day of such great favor to some, will doubtless be a day of as remarkable vengeance to others. Men’s hearts harden, and their guilt increases apace at such a day as this, if they neglect their souls, and never was there so great danger of such persons being given up to hardness of heart and blindness of mind. God seems now to be hastily gathering in his elect in all parts of the land; and probably the greater part of adult persons that ever shall be saved, will be right in now in a little time, and that it will be as it was on the great out-pouring the Spirit upon the Jews in the apostles’ days; the election will obtain and the rest will be blinded. If this should be the case with you, you will eternally curse this day, and will curse the day that ever you were born, to see such a season of the pouring out of God’s Spirit, and will wish that you had died and gone to hell before you had seen it. Now undoubtedly it is, as it was in the days of John the Baptist, the axe is in an extraordinary manner laid at the root of the trees, that every tree which brings not forth good fruit, may be hewn down and cast into the fire. My friends, may God give us this kind of urgency, a growing passion for lost souls to be saved. No one has a guarantee of living past today. Nearly two people die every second. This means 105 people die every minute, 6316 every hour, 151,600 every day, 55,334,000 every year.4 How many die without Christ? How many go to hell, a place of unquenchable fire where they suffer the just wrath of God for all eternity? My brethren, we must be about God’s business. We must always be closing. 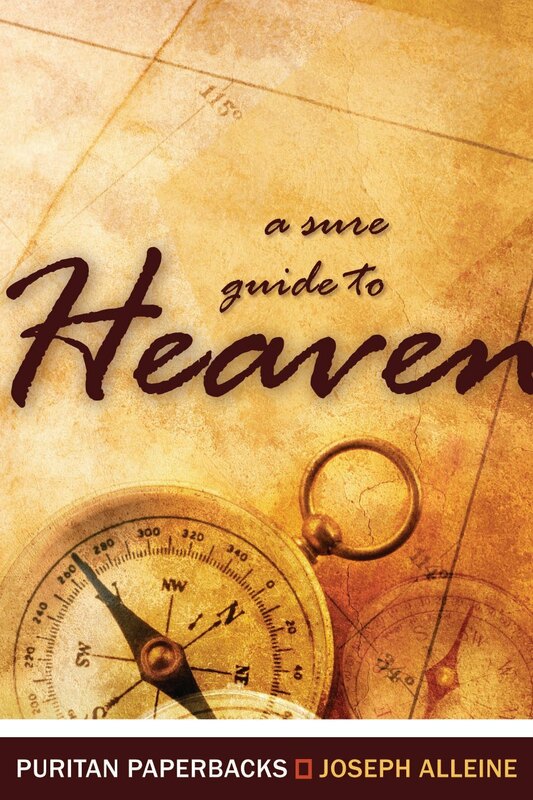 A Sure Guide to Heaven, page 113, ‘Directions to the Unconverted,’ Banner of Truth. Edwards preached this sermon in July, 1741 in Enfield, Connecticut. The Great Awakening was in full swing and thousands of people living in the Connecticut River valley were being deeply affected by the preaching of Edwards, Whitefield, and the Tennents, but the revival had by-passed the careless, uninterested people of Enfield. This sermon changed all of that.